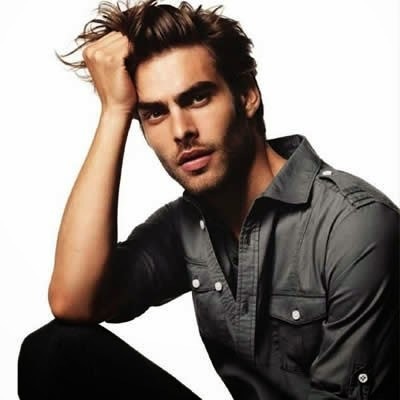 Jon Kortajarena (Bilbao, Spain, 1985) is a Spanish model and actor. He has landed advertising campaigns for Just Cavalli, Versace, Giorgio Armani, Bally, Etro, Trussardi, Diesel, Mangano, Lagerfeld, Pepe Jeans but notably H&M, Zara, Guess and Tom Ford for his consecutive seasons with the brands. On 26 June 2009, Forbes ranked Jon Kortajarena 8th in The World's 10 Most Successful Male Models. In November Kortajarena was named by German GQ as Model of the Year. Spain's Marie Claire awards "Prix de la Moda" awarded him Best Spanish Model for 2009. As actor he is known for the films A single man (2009), Versus and Hombre 2000 (2014). His mother is a hairdresser and she often styles his hair. If he was not modeling he would be a full-time actor; however, he notes that interior designing and photography are some fields he has always been curious about. His hobbies include watching films, reading books by Hermann Hesse, sunbathing, going to the mountains with friends, and listening to music. Not heavily muscled, but lean, hard, pretty, hairy-chested, and HOT! High cheekbones! Lean build. And a bellybutton thick with fur! OOOH, he makes a guy horny! Julie @JulieLynTurton liked this post, thanks! cameron hunter liked this post, thanks so much!